WHAT DOES A MOVIE PRODUCER ANYWAY? Well, what the official definition says: A producer will oversee each project from conception to completion and may also be involved in the marketing and distribution process. They arrange financing for each project and are responsible for keeping the production within the allocated budget. WHAT THE AVERAGE CINEMA AUDIENCE THINKS THEY DO..
Having wild parties with beautiful men and women, lots of alcohol and drugs, fast cars, private jets and expensive homes. No wonder that this part of the filmmaking process is most appealing to young entrepreneurs. But what is it really like to work in the entertainment industry nowadays, doing one of the most - as you can say - hazardous and misunderstood jobs in the world? HOW ARE MOVIES PRODUCED NOWADAYS? The movie business has changed dramatically over the last two decades. The big studios are making fewer but more expensive, so-called "tentpole" movies and at the same time, thousands of micro-budget films are shot each year and sweep the market. So how can producers and filmmakers survive this enormous competition and still stay on track to realize their vision? 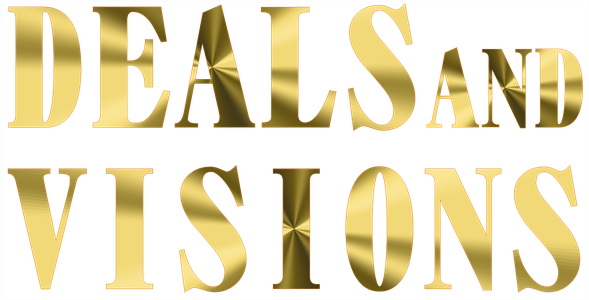 In "Deals and Visions" we are taking a look behind the curtain and show the audience what it´s really like to be responsible for a motion picture - be it for a darkened theatre, TV or home cinema. We talk to some of the most prolific entertainment wizards - producers and filmmakers - from the USA as well as Europe: Why they chose this profession and how they entered it. What their role models, hopes, and dreams are. How they try to be always one step ahead of the ever-growing competition. How the future of entertainment is going to evolve - and how they really live their everyday lives. We furthermore visit the most prestigious film markets in Berlin, Cannes and Los Angeles, where thousands of real and would-be producers and filmmakers from around the globe gather to do business and sell new and upcoming "product" to potential investors and distributors.